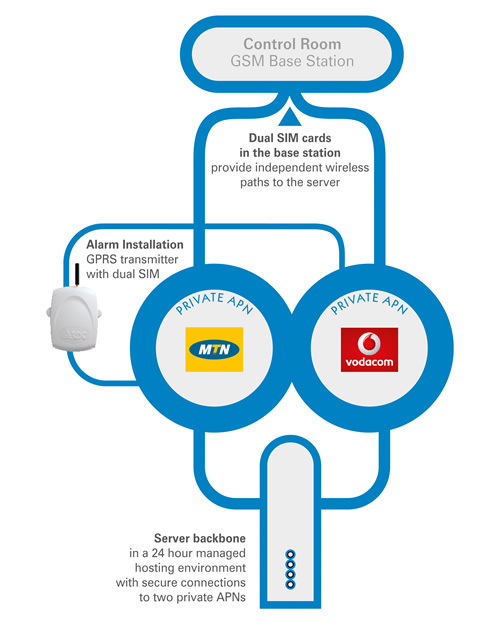 The RDC GSM backbone has been designed to accommodate the unique requirements of security monitoring. Dual SIM cards in base station. 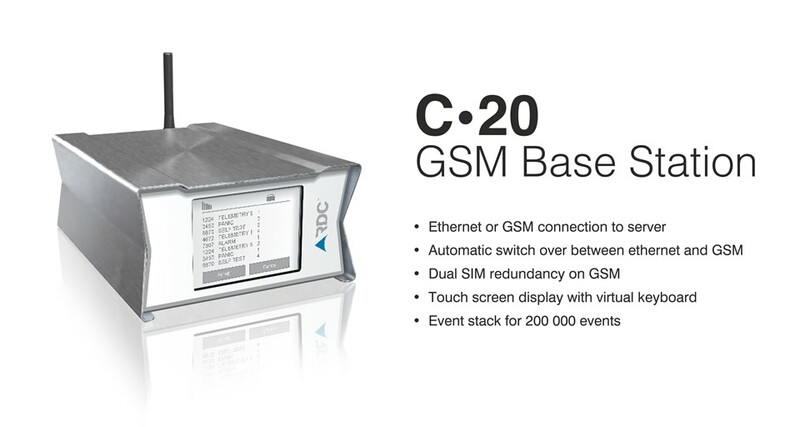 As with the G-TX transmitters, the C-20 base station accommodates two SIM cards to ensure two alternate GSM network connections. Dual private APNs. 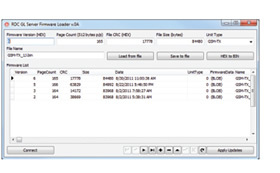 The system operates using private access point names (APNs) on both service provider networks. This separates alarm signals from other general traffic on the GSM networks. Ethernet or GSM connection to server. The base station can connect to the sever either via ethernet or GSM (GPRS, EDGE, HSDPA). 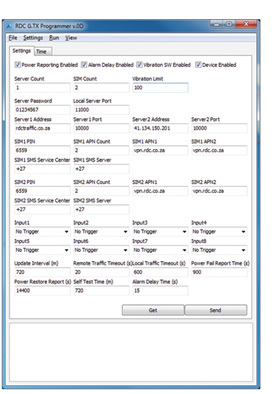 This means that signals can be received in the control room via any leased line connection or via the GSM network. In case of connection failure, connections will automatically switch over. Secure server hosting. Up-time on the system is optimised by hosting the server backbone in a 24hr managed hosting environment with all the expected redundancy, power backup and disaster management services. Touch Screen Display. The 320x240 TFT touch screen display with virtual keyboard allows for easy user input. The display is password protected to avoid misuse.